Toshiba has announced the launch of two new compact ranges to its laptop series – the Satellite T130 and Satellite T110. Although theyr screen sizes mean that they nestle neatly alongside the netbook clique, the T130 and T110 possess more power than your average UMPC, boasting CULV (Consumer Ultra Low Voltage) processors. Using the CULV chip means, despite their size, the laptops perform like as well as their full-sized brethren, but have the added bonus of being man-bag friendly light. The T130 and T110 are pretty thin too – just 22.2mm at their thickest and weight-wise they start from 1.58kg. Alongside two screen sizes (11.6-inch and 13.3-inch, hence the names) the laptops come in three colours: Precious Black, Iron Red Metallic and Luxe White Pearl. 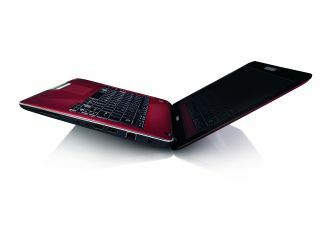 The Toshiba Satellite T130 and T110 have a release date of October and prices will start from £429.